Who do you run for? At the Not So Normal Run Weekend, we help support local non-profits see their dreams become real, and we have a ton of fun doing it. What started as a family fun 5k in 2014, has now grown into 2 amazing races in two different towns. 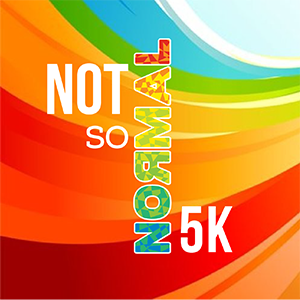 The lovable, adorable, action packed Not So Normal 5k is back and better than ever on Saturday, April 2, 2016 in Pittsboro, NC and has brought along the Not So Normal Half Marathon on Sunday, April 3, 2016 in Carrboro, NC for some company. All the races and events associated with the Not So Normal Run Weekend will benefit The Not So Normal Fund, a North Carolina Non-Profit Corporation whose sole mission is to help fund projects at other local non-profits. To see the full list of amazing initiatives we are helping to make happen go to the Philanthropy Page on our website. Without all of our Not So Normal Runners and Supporters none of these projects would be possible and we are very grateful for all your support.